A shape aluminum tent is made of aluminum frame and PVC fabric. Generally, the roof cover is 750 or 850g/sqm white PVC fabric, that is blackout. The sidewall cover is 650g/sqm white PVC fabric. The sidewall cover can be also chosen from Glass wall, ABS hard wall and Sandwich wall. We have some more optional accessories for you to choose, like lining and curtain, flooring, glass door, table, chair, etc. 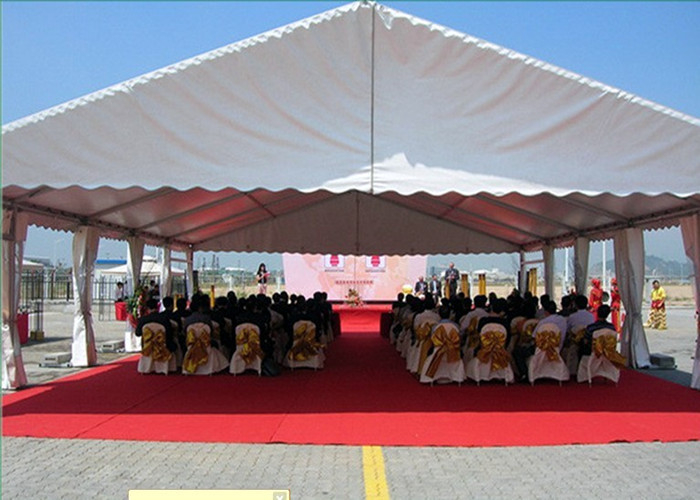 The 100 people aluminum marquee tent can be used for outdoor event, graduation ceremony, industrial warehouse and so on. 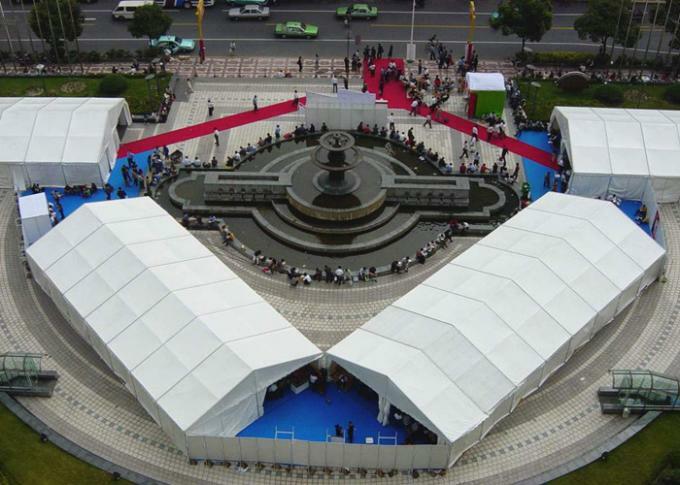 The 100 people aluminum marquee tent can be fixed on different grounds, like concrete ground, grassland, sand, etc.